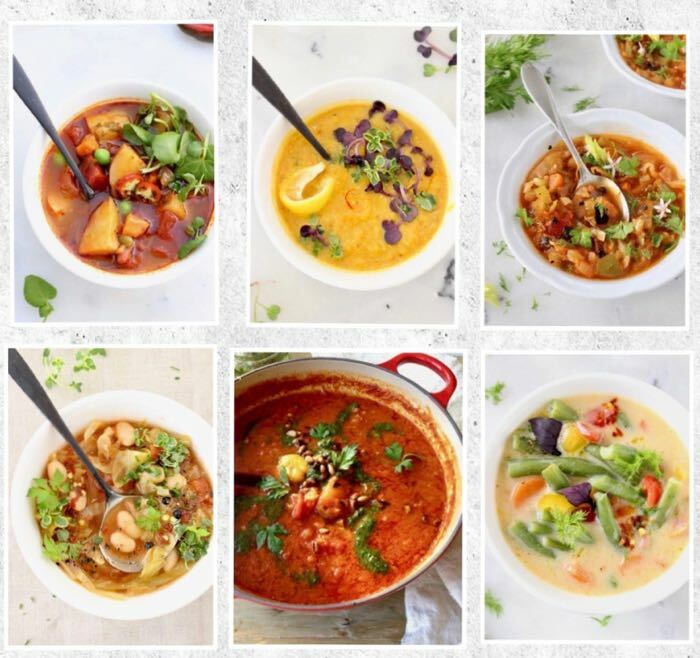 A collection of easy vegan soups and stews that I have on repeat all fall and winter long and late into the spring months. Most of them require just 1 Pot, a handful of ingredients and ready under 1 hour. They also tend to freeze well. I try to share only the very best, the ones that stand the test of time and I find myself craving through all the seasons. Healthy, whole-foods and plant-based or easily adaptable to be so by simply replacing any olive oil in the recipe with a splash of water. 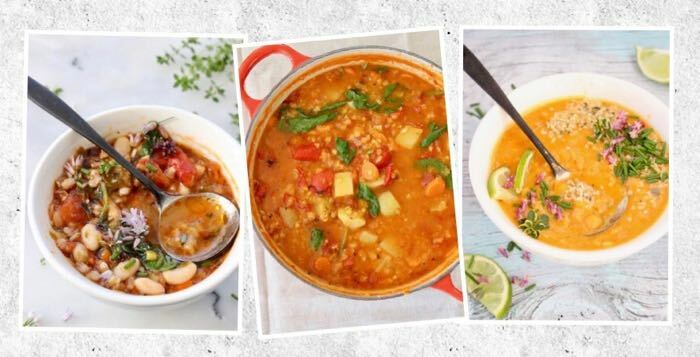 Hearty Potatoes, lentils, brown rice, spinach, cabbage, tomatoes, green beans, I’m sure you’ll find something you love in this list. 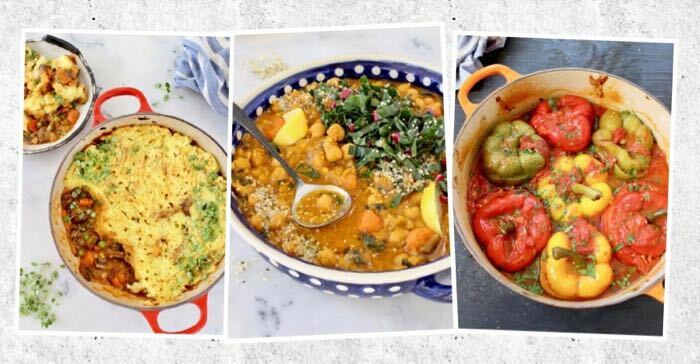 So inspiring ideas for week dinners ! Thank you for your beautiful collection ! Ciao e tornero ! Hi Ciao, you don’t know how happy I am with your Italian bread recipe! I have tried so many recipes for this bread and none of them turned out until your recipe. Thank you so much. I love it.